The following documentation describes how to start designing from a blank page with the Nimble Builder. 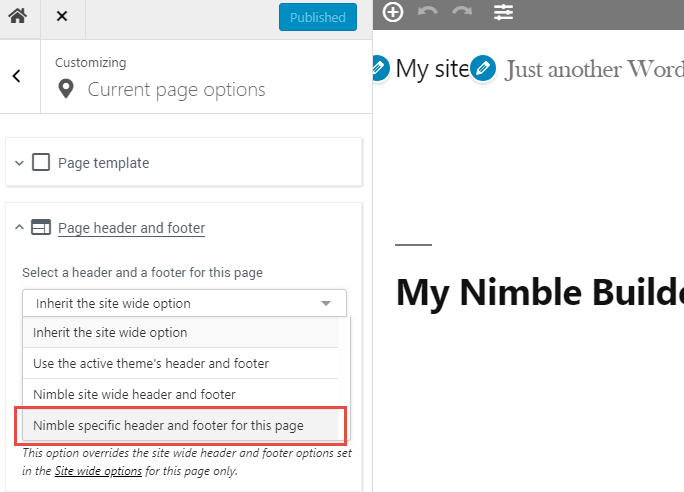 Note that editing an already published content ( page, post, term, ... ) with the Nimble Builder can be done by clicking on the Nimble Builder link, when logged in with editing capabilities. When the page has been published, make sure you refresh the browser. The link to the Nimble Builder is now displayed in the admin bar. Click on the Nimble Builder link. The Nimble Builder template replaces the content of your current page with a blank drop zone in which you'll be able to start inserting sections and modules. At this point, your page will display the theme's header and footer. You can go a step further and decide to start from a complete blank page, by using Nimble's header and footer. This is described in the next step. 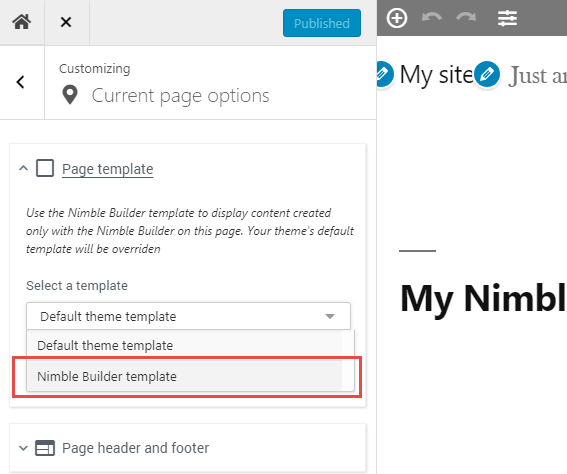 5 - (optional) Select the Nimble Builder header and footer. The header and footer might be in beta version, make sure you enable the beta features if needed. Now you can start building from a complete blank page.